A bus driver and eight students were hurt when a Montgomery County, Maryland, school bus and a trash truck collided Monday morning, police said. 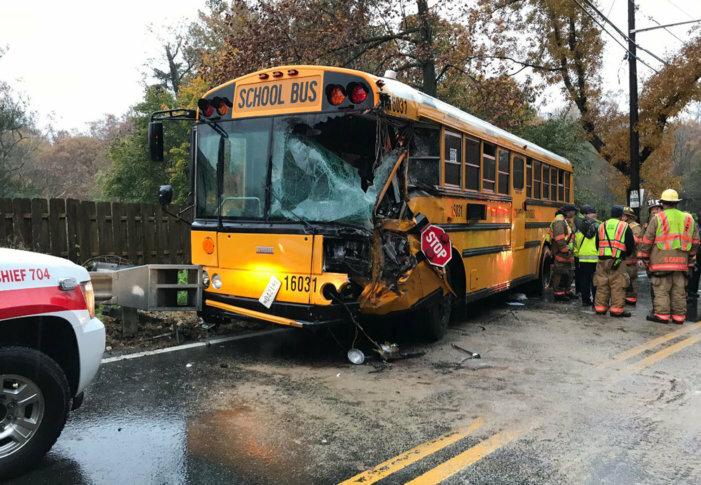 WASHINGTON — A bus driver and eight students were hurt when a Montgomery County, Maryland, school bus and a trash truck collided Monday morning, police said. The students and driver were transported to a hospital with non-life threatening injuries. Authorities responded to the collision just before 8 a.m. in the 2400 block of Norbeck Road in Aspen Hill. The bus was headed to Farquhar Middle School in Olney, according to police. As a result of the collision, Norbeck was closed between Layhill Road to the east and Barn Ridge Drive to the west until shortly after 10 a.m.
A map of the area where the collision happened is below.